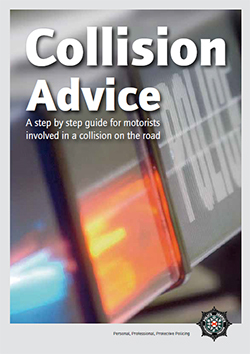 We have come across this on-line booklet from the PSNI – Collision Advice – A step by step guide for motorists involved in a collision on the road. The advice offered in the booklet includes the primary role of the police in investigating road collisions and what type of road collisions they will or not attend or investigate. For example the PSNI does not investigate road traffic collisions on behalf of insurance companies. To protect the scene from further collisions. To ensure the injured are treated. To ensure the free flow of traffic. To arrange the recovery of vehicles where appropriate. To investigate the collision to determine the cause and whether offences have been committed. To provide assistance to those in need at this stressful and sometimes traumatic time. To investigate on behalf of the coroner in fatal collisions. To ensure safe custody of personal belongings when required. The booklet has a section on frequently asked questions which attempts to help answer some of the most frequently asked questions from motorists involved in a road collision. Do prosecutions follow in every case? Can I get further information from the Police Officer who attended the scene? What if I have been injured? If as a motorcyclist you have not been carted off to hospital as the result of a collision the booklet also has a section where you can make your own notes, to record details of the collision, vehicles involved, space to make a quick sketch plan of the scene to help you remember useful details like road names and house numbers and a page for notes, for anything that was said to you by the other driver and events leading up to the impact. This will be useful if you are required to make a statement about what happened at a later date and you can pass these details to your insurer and the Police if they conduct an investigation. 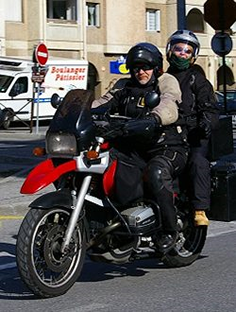 As motorcyclists to carry the booklet, we may not have the physical capacity to do this, for example on a sports bike with no luggage (tank bag/panniers/top box). Even if stored under the seat, apart from in a collision when access may be difficult, the booklet may not survive particularly well exposed to damp etc. However placed in a plastic zip bag it will and will be useful after the event when filled in – don’t forget to carry a pen with the booklet! You can download the booklet as a pdf or apparently they are available from PSNI stations.